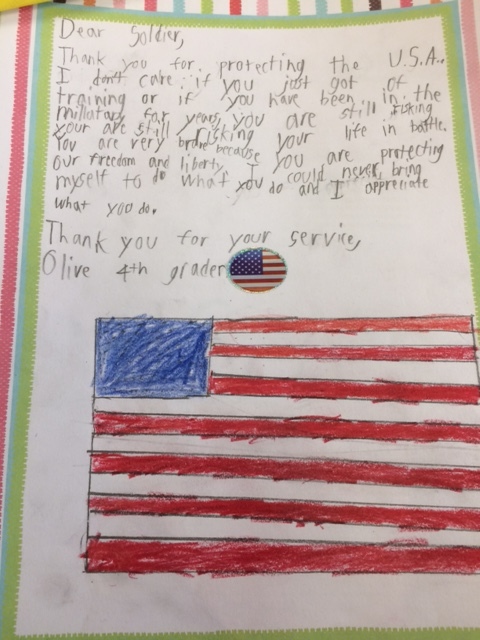 During the month of October, The Owl Way worked with teachers to have students write letters to deployed soldiers. 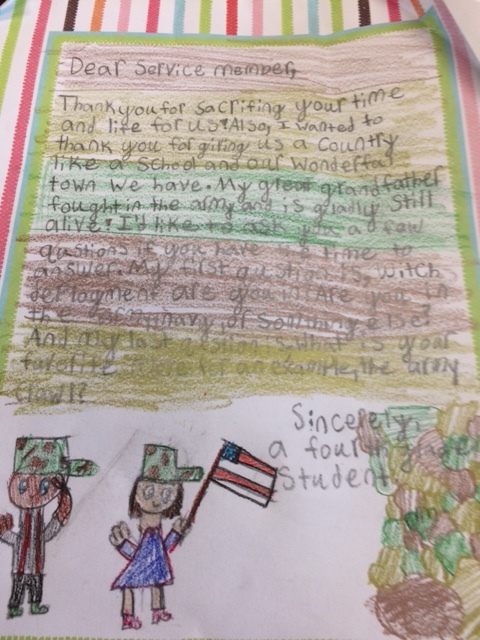 Those heartfelt letters were sent to Operation Gratitude and will be delivered to soldiers in time for Veterans Day. 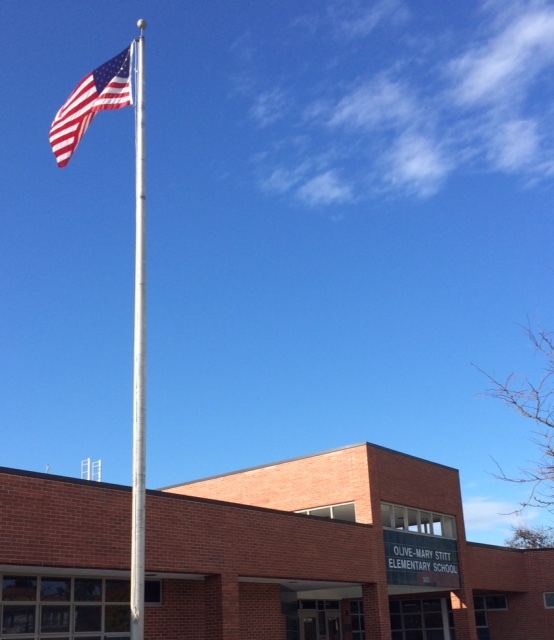 As the students reflect on this lettering writing project, they will realize that we are the “Home of the Free, Because of the Brave”. ← FAMILY BINGO NIGHT IS THIS WEEK!